Jeff Patton gave a great workshop this afternoon at Agile 2011. User Story Mapping helps you tell the whole story of your product, while still breaking stories down into manageable chunks that will fit within an iteration. In this workshop we started by looking at verbs, the doing words of our users. These verbs were written down on Post-it Notes as user tasks for the viewing of a film. Without verbs in a story nothing really happens. As everyone on the table had different user tasks we then began grouping them together and ordering the user tasks. As people do things in different order – for instance, do I watch the trailer first or read the review – we placed the user tasks in an order and focused on finding the buckets for those grouped issues. Jeff called these buckets the user activities. The goal here was to go middle-out rather than top down, hence we started with the user tasks (get popcorn, press play) and expanded up to the user activities (watch film). The user activities form the backbone of the user story map. As Jeff said, when you are working with a product backlog it may be easier to find stuff with a map. I tend to agree. The GreenHopper team used a user story map back in March 2011 for our planning of the Rapid Board, and we’ve used it a number of times since for starting various epics. You can grab a copy of the handout from Jeff’s talk here and then follow Jeff on Twitter. 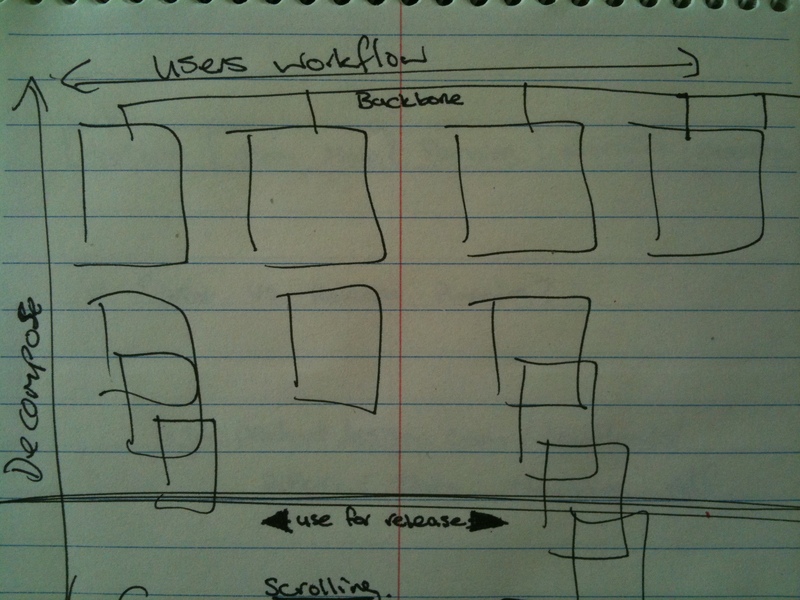 For further reading take a look at his article the new user story backlog is a map. Like the small tip. Verb. Action. Do something. Are you Melbourne based? Would you be interested in coming and sharing your ideas with us at the local #AgileBA or #Scrum meet-ups? We’d be particularly keen to hear some content around story mapping.